Superdry women’s Core Gym Tech funnel hoodie. 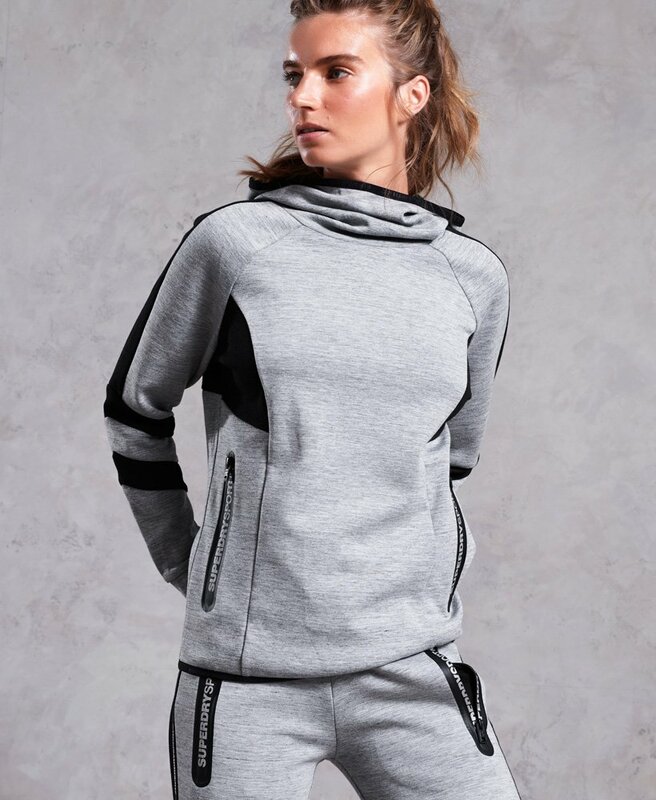 This hoodie is the perfect layering piece for pre and post workout. This soft touch hoodie features one large front pocket with two metallic zips, a hood with a cowl neck and metallic branding detail on the back. The Core Gym Tech funnel hoodie will keep you comfortable with stretch technology and ventilation panels on the arm and underarm to contour the upper body and create a flattering fit. This hoodie is completed with thumbholes in the cuffs.